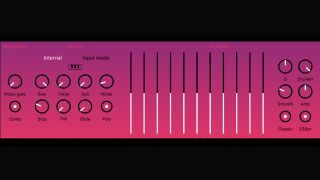 BeepStreet has released DerVoco, a vintage vocoder emulation for iOS. This features analogue-modelled filters, envelope followers and companders and is designed to give you a warm, vintage sound. Load up the app as an AU effect (it doesn’t run standalone) and you can use the internal polyphonic VCO as a carrier that can be controlled by MIDI. There’s also a special input mode in which the carrier and modulator signals are mixed in the left and right channels so that any synth plugin can be used as a carrier signal. Other features include controllable filter resonance and a built-in compressor and noise gate. DerVoco is available now for iPhone and iPad from the Apple App Store. It costs $4.99/£4.99.